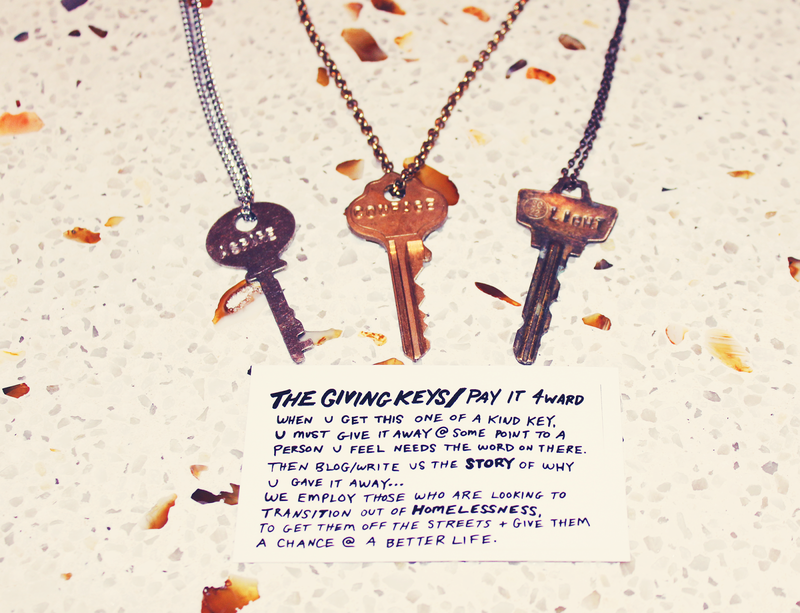 A couple of weeks ago I stumbled across a brilliant website called The Giving Keys. They sell jewellery such as necklaces, bracelets and rings featuring an engraved key. Each one is unique. No two keys are the same and that's the beauty of it for me. When I ordered my necklaces I got to choose the chain but I couldn't choose the key and there's a beauty in that. I ordered three necklaces: "aspire" for my mum, "courage" for my cousin who has had a lot of health issues and "light" for myself. For me, light means less heavy. Weight-wise and to carry less of a heavy heart. At first I was disappointed with mine - I thought it was ugly. Then I realised that it actually represents me - it's old and I consider myself an old soul and it also has the number '22' on it which is my number. My birthday is on the 22nd and I turn 22 next year. It's quite weird really, of all the numbers it could have on it. 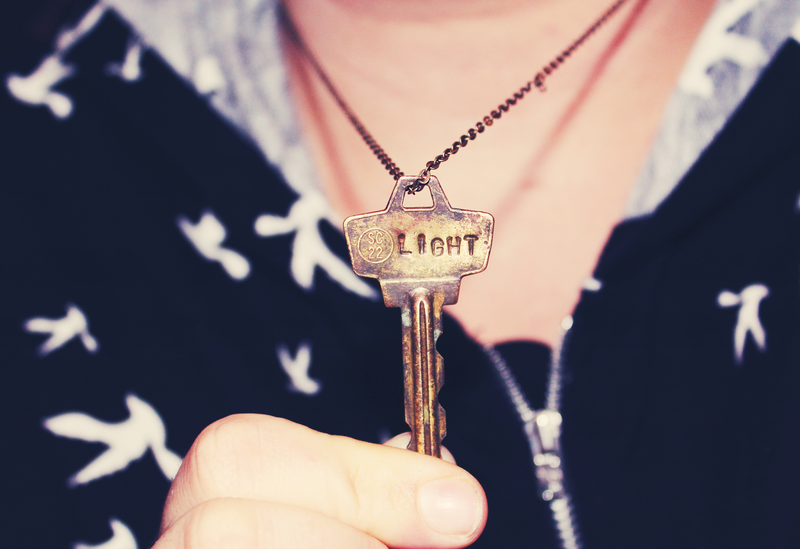 I think the key was meant for me for a reason and I'm embracing that now. The Giving Keys employs those looking to get out of homelessness and all the proceeds go back into the business and to the homeless employees. The motto of The Giving Key is to "Pay it 4ward" which means when you receive the key, eventually you pass it along to someone who needs the message more than you and then you send in your story to the website. I think the idea is inspired and if you have a little extra money to spend it's a great gift for birthdays and christmas. I probably wouldn't have bought so many if I wasn't planning on moving soon and most likely losing contact a little bit with those friends. Let me know which word you would get engraved on a key or if you make a purchase! It's so clever - the girl that created it is so creative and brilliant. I mean the whole "Pay it 4ward" thing is great because people always have to come back and buy more once they give theirs away! What an amazing idea to begin with! I will definitely consider getting a key for me and my friends <3 Thanks you for sharing it hun! That's lovely. :) <3 I think it's so great when you find a word that means so much for you. When I thought of "light" I had the same feeling.